Bespoke garden style design is one the hottest trends in wedding flowers, and this short video demonstrates how to create romantic wedding centerpieces in this soft and flowing style. 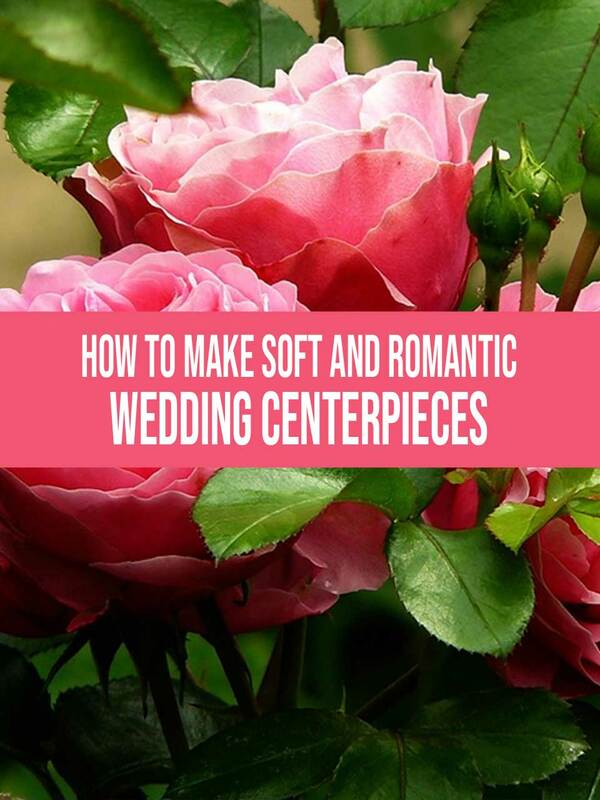 From flower prep to finished design, this tutorial walks you through the steps it takes to design beautiful bespoke wedding centerpieces, even if you have never tried before. Whether you are a veteran or an inexperienced floral designer, you’ll discover how quickly and easily you can create wedding centerpieces like this, using a minimum amount of flowers and greens. I think you are going to find this video very helpful, especially if you would love to try your hand at creating wedding centerpieces in this relaxed garden style. Take a look and see if you feel the same way that I do! Arranging flowers using wire bases or armatures rather than floral foam may be new for some, but for those of us who go back aways, it’s just the revival of the floral design technique that we were taught. Only this time using the much-improved tools and products that are available today. And speaking of those much-improved tools and products, all of the fresh flowers used in this video, including the foliages, garden roses and the vintage velvet flower selection can be found at FiftyFlowers. The 12 gauge aluminum wire, Quick Dip and flower food, can easily be found online as well. Besides FiftyFlowers, you can also purchase similar flowers online at other sites like GlobalRose and BloomsbytheBox. These three are companies that I’ve had personal experience with. There are others that look really good too, but other than the three I mentioned, I have no first-hand knowledge about any of them. Listen, to start off on the right foot, I’ve gotta level with you. Truthfully, I really created this resource for me. I’m always watching tutorials (like the romantic wedding centerpieces presentation you just took a look at), and a cool site on which I could re-watch my favorites is really what I was after. Of course, I do see this as something of an opportunity, as well. I just want to be transparent here. If it’s in my power to create a fun and useful video site that other folks enjoy half as much as I do, and maybe earn a little revenue, then I personally don’t see any reason to feel bad. It’s a wonderful world we’re living in where we can get paid for sharing our passions. I like to take full advantage. But allow me to set your mind at ease… any possible monetary benefit is incidental, and I’m not here to sell you anything. So please visit again ASAP! I will continue sharing stellar videos about plants, flowers, and weddings… and so on and so forth. To receive updates whenever new videos are added to our site, feel free to enter your email address below or click the red notification button on the lower right-hand corner of your screen. And as always, reading the thoughts and opinions of my visitors really drives me to continue to do this. You’ll find the comments section below. Please use it, okay?